1. Restore the Files, including themes, plugins, media uploads etc using ftp or File Manager. 2. Restoring the database using the phpmyadmin. 3. Testing the Website prior to changing the nameserver. 4. Installing some Security plugins for further protection. 2. Cpanel access of both the server. Being the Managing Director Of the company "mindspectrums.com" I am planning to make it large by the End of this year so seeking co-operation from all of my clients and the...Read moreBeing the Managing Director Of the company "mindspectrums.com" I am planning to make it large by the End of this year so seeking co-operation from all of my clients and the people of PPH. Presently I am handling a team of 6 people and soon I will increase it with the increased expertise and technology added to my profile. By profession I am a regular Web developer and WordPress/WooCommerce professional having 5+ years of experience in this field and worked over 500+ websites. I am well versed with this CMS starting from website hosting server migration to website fixing and performance optimization to website design and development in PHP, WP to SEO and marketing. I can give you all kind of service in this platform and can be reachable at you most of my working time as I am used to be online most of the time. Beside this I am a Forensic SEO Auditor and Website Auditor from Internet marketing perspective and SEO specialist having more than +7 years of working experience and now working independently as SEO Consultant and Internet Marketing Specialist for last 3 years. 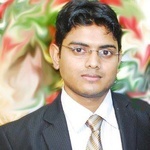 I have expertise in SEO, SMO, SMM, Internet Marketing, product brand building, reputation management, target marketing. For the last couple of years I am also developing WordPress site.